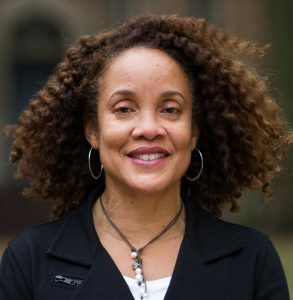 Dr. Tera Hunter, Edwards Professor of American History and Professor of African American Studies at Princeton University, will deliver a public lecture on African America marriage in slavery and freedom on January 25, at 4:30 PM, in 30 ten Hoor Hall. Hunter’s Bound in Wedlock: Slave and Free Black Marriage in the Nineteenth Century (Belknap Press of Harvard University Press, 2017) won the Fourth Biennial Deep South Book Prize from the Summersell Center for the Study of the South. According to the Belknap Press, “Bound in Wedlock is the first comprehensive history of African American marriage in the nineteenth century. Uncovering the experiences of African American spouses in plantation records, legal and court documents, and pension files, Hunter reveals the myriad ways couples adopted, adapted, revised, and rejected white Christian ideas of marriage. Setting their own standards for conjugal relationships, enslaved husbands and wives were creative and, of necessity, practical in starting and supporting families under conditions of uncertainty and cruelty. Follow the link in the image above for a full-size poster for the event. 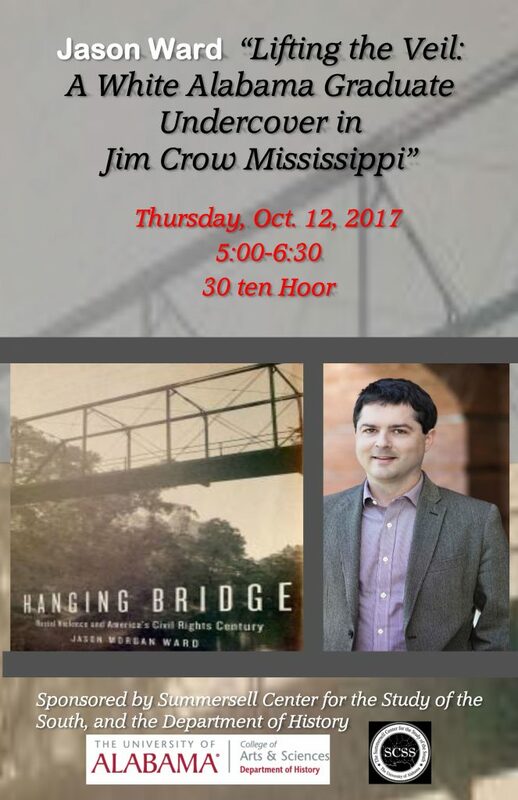 The Summersell Center of the Study of the South and The University of Alabama Department of History will host Professor Jason Morgan Ward of Mississippi State University on Thursday, October 12, 2017, at 5 o’clock in room 30 ten Hoor Hall. Ward is the author of Hanging Bridge: Racial Violence and America’s Civil Rights Century (2016) and Defending White Democracy: The Making of the Segregationist Movement and the Remaking of Racial Politics, 1936-1965 (2011). 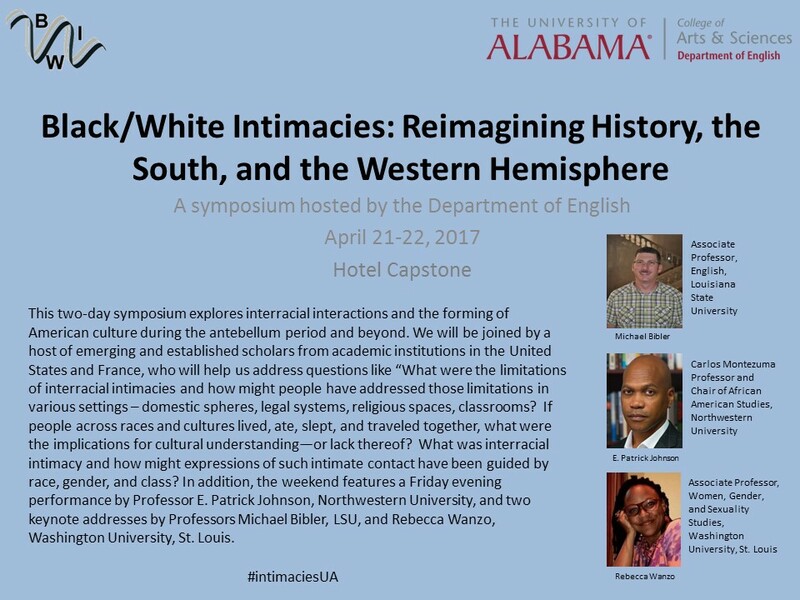 This event is sponsored by the Summersell Center for the Study of the South and The University of Alabama Department of History. The event is free and open to the public. “Dixie’s Great War: World War I and the American South” Symposium to be held October 6. Register today and plan to attend the one-day symposium, “Dixie’s Great War: World War I and the American South,” to be held Friday, October 6, 2017 at the Ferguson Center Great Hall on The University of Alabama’s campus in Tuscaloosa, Alabama. The Dixie’s Great War symposium, hosted by the Summersell Center for the Study of the South, “is considered to be the largest conference in the country on World War I and the South,” says John Giggie, Associate Professor and Director of the Summersell Center for the Study of the South at The University of Alabama. 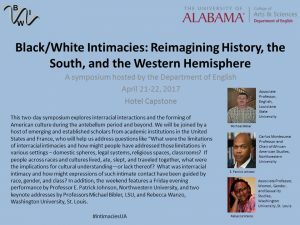 Panels will focus on the war’s political, social and cultural impact on the South in general as well as Alabama in particular. The symposium is free and open to the public, though registration is required. A reception will follow the closing of the last session, and books by the participating scholars will be available for purchase. To register or view the agenda, please visit dixiesgreatwar.ua.edu. 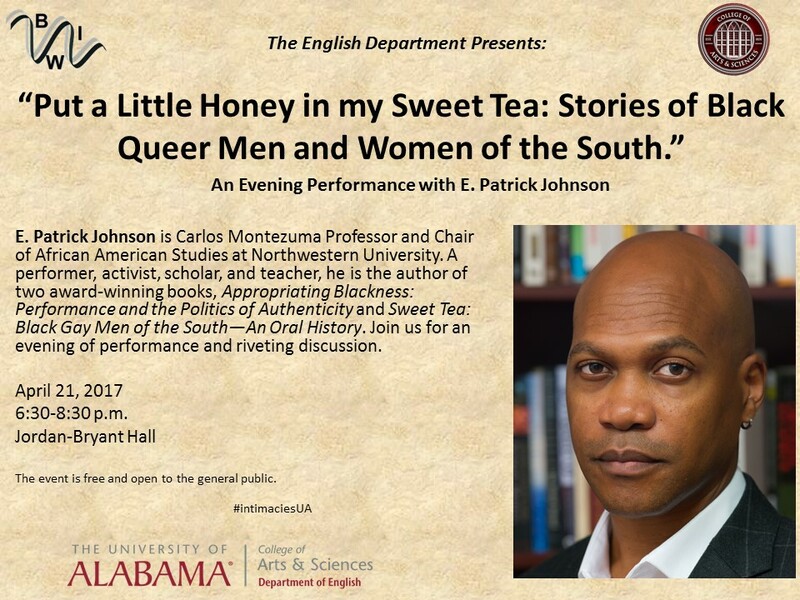 For more information, please contact Sea Talantis at stalantis@ccs.ua.edu or 205-348-3014, or Lauren Lewis at llewis@ccs.ua.edu or 205-348-6222.